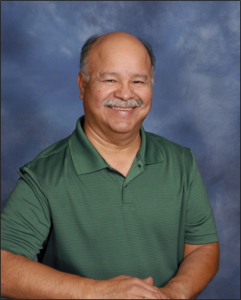 Jose graduated from Indianola Academy in Indianola, Mississippi and has been a resident of Fremont since 1971. Jose and his wife Margaret have 3 children and 4 grandchildren. He started helping with the music at the 1:00 p.m. Spanish Mass in the mid 1970’s. Jose loves playing the guitar and singing Spanish hymns.